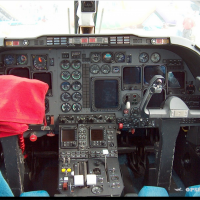 Nextant, Collins Awarded T-1A Avionics Upgrade Contract » OPShots.net - Cyberhub to Cleveland Aviation and the World! 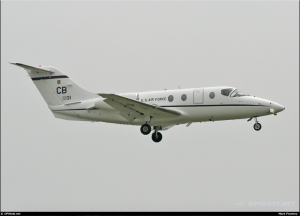 AIN – Field Aviation and subcontractors Nextant Aerospace, Rockwell Collins, and FlightSafety International have won a U.S. Air Force contract to modernize the Collins Pro Line 2/4 avionics on the USAF’s entire T-1A (Beechjet 400A) fleet. As part of the award, Nextant Aerospace will share the responsibility for modernizing the USAF’s fleet of 178 T-1A training aircraft, 16 flight simulators, and 14 part-task ground trainers with Collins Pro Line 21 avionics systems. The contract also calls for building several new simulators, as well as developing training aids and courseware. Under phase one, Field has been awarded $18.5 million for prototyping and low-rate initial production. The USAF has not yet announced the total cost of the contract; but at its $424,950 list price, Nextant’s Beechjet Pro Line 21 upgrade alone for 208 aircraft and trainers would be worth nearly $88.4 million. Minimum requirements under the avionics modernization program include ADS-B Out, TCAS II, and angle-of-attack indication/display, among others. Nextant’s Beechjet Pro Line 21 upgrade more than meets these requirements, adding electronic charts, synthetic vision, a new LED master caution/master warning panel, and other features. “Creating affordable modernization solutions has been a hallmark feature of our business since inception,” said Nextant Aerospace executive vice president of sales Jay Heublein.